Before I start with my September Glam Bag, I just wanted to provide an update on my missing Ipsy bag from August. When August 23 rolled around, I noticed that Landmark tracking said it was delivered on the 17th but I had never received it. I contacted Ipsy and they immediately sent out a new bag for me, which arrived by the end of the month. I was super happy with their customer service—the bag was exactly what I was supposed to get, except for an item from theBalm which they replaced with a different item from the same brand. I will have to save the extra items for a giveaway. Well, it turns out that earlier this month, my original Ipsy bag arrived! So much for Landmark’s tracking, huh? (I’ve had an issue with them before on a Julep order—Julep were similarly wonderful and quickly sent a new package; the original has never turned up.) I’d never heard of this Landmark company until this year; suddenly I’m getting more packages from the US handled by them. They also never responded to my inquiries regarding my lost Julep package. Hrmph. 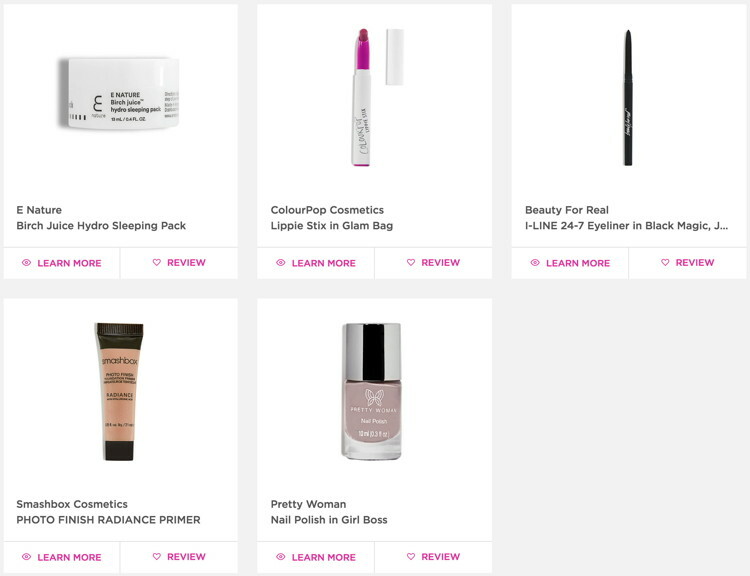 Anyway, September’s Ipsy Glam Bag (referral link) arrived in good time (well, the 19th, which is a little later than usual but I did have a points redemption item in the mix, too). Pretty typical value this month. I gotta say I’m pretty happy that the Canadian dollar has been moving up against the US dollar, lately! Whee! 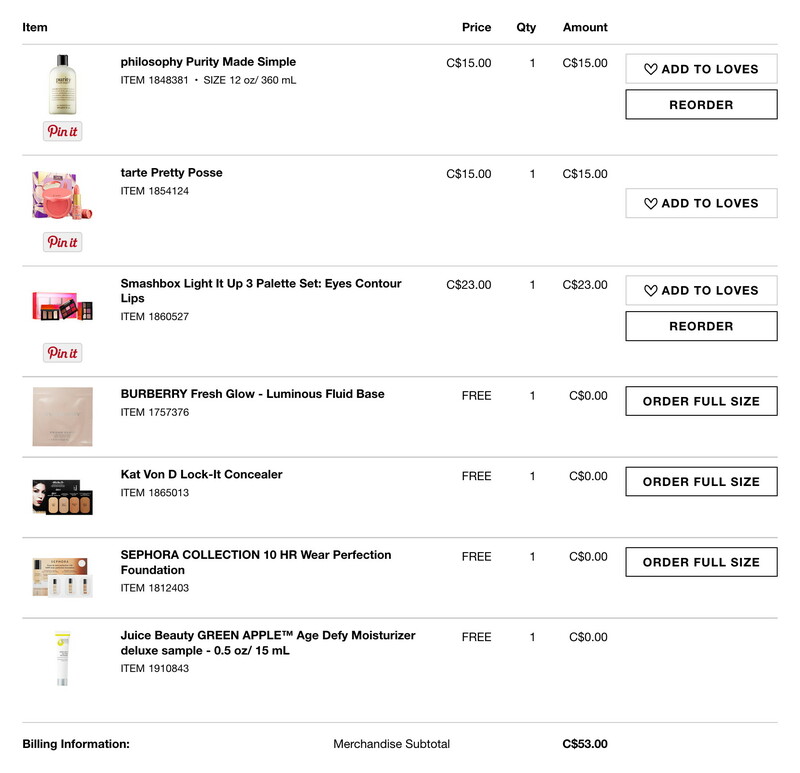 Sephora is holding a sale, as usual, with a small selection of products marked down to C$15 each. I’m running low on my 8 oz bottle of Purity (which has lasted me forever), so I’m stoked to get a 50% bigger bottle for so cheap! I also picked up a few nail polishes by Sally Hansen (Xtreme Wear), L.A. Girl, and Pure Ice from Wal-Mart, but they don’t put the color choices on my online receipt, so I’ve already forgotten which ones I ordered! Have you picked up any Boxing Day deals, yet? Happy shopping! My May 2016 Ipsy (referral link) bag arrived earlier than expected last week! This week, I’ll be posting about some little hauls I’ve made recently, rather than swatches and reviews. The reason for this is that I have a busy week ahead of me—my little peanut is going to be two!—and didn’t have enough swatch posts written up in advance! Things should quiet down for me by next week, so I look forward to doing a whole lot more swatching, soon. So, today, we kick off with a combo of products from Essie, Illamasqua, Smashbox, and W7: all of which I found at Winners (the Canadian TJ Maxx)! Last month, one of my favorite beauty bloggers, Stash Matters, ran an amazing giveaway to mark her first blogiversary, and I was so lucky to be one of the winners! Since we live in the same city, Stashy suggested we meet up, and earlier this week, we finally did for the first time! Neither one of us had done such a meetup before, so it was a new experience for us both. I was a little nervous at first, but was immediately at ease upon meeting her for the first time—the meetup ended up being a lot of fun! I had my peanut with me, as well, and he took to Stashy instantly (a great sign, because I tell you he can sense evil!). We both chatted for a while and then had a leisurely stroll through the shiny new Saks that had just opened up downtown. Of course, we did a little gift exchange, too, which is what this post is mostly about! I was only meant to receive five items from her giveaway, but of course, Stashy had to go and throw in some excellent extras, as well! 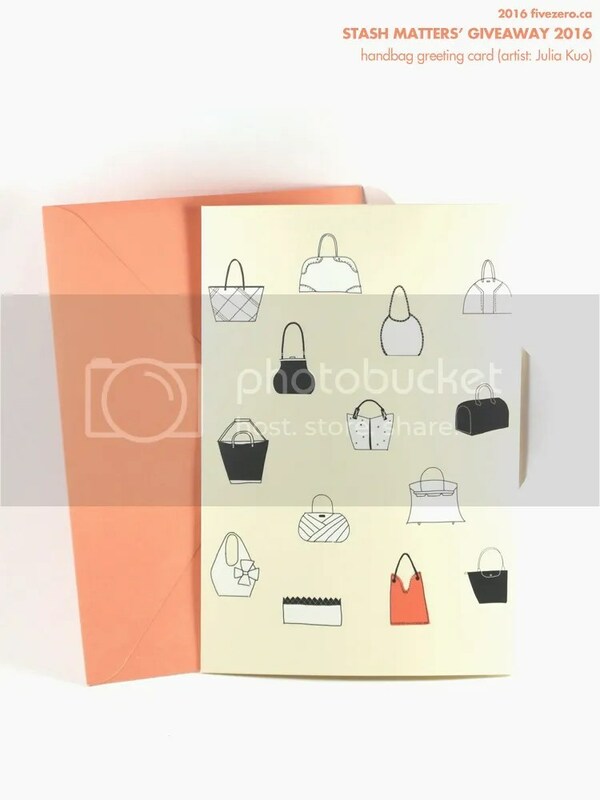 adorable card with drawings of luxe handbags! I know I’ve spent the week posting China Glaze polishes from their Fall 2015 collection, and another was posted today, but I have not forgotten that today is Thursday, and a Throwback polish is on the schedule! Remember when Smashbox shade names all seemed to start with “Smashing”? I had Smashing Deep Red and Smashing Raspberry Kreme (yeah, it was spelled like that!) lipsticks, and some other Smashing eyeshadows, etc. 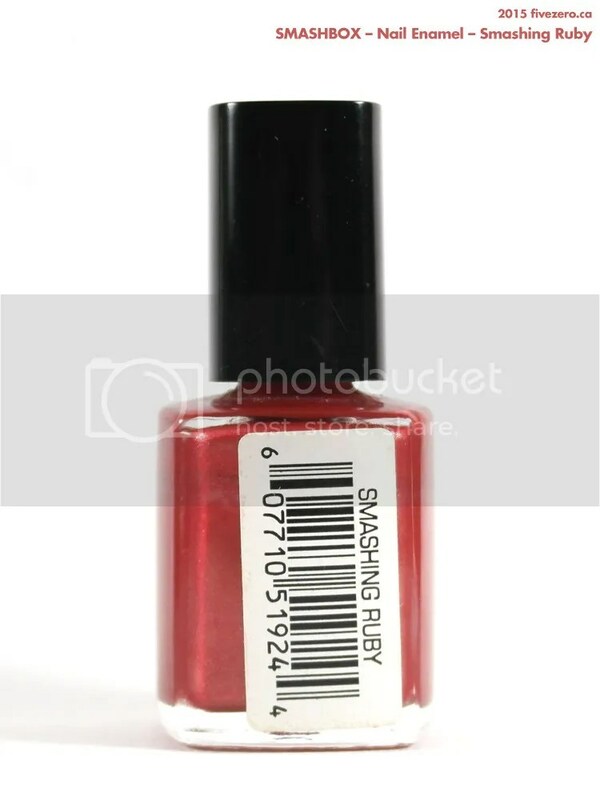 Well, I also owned a few Smashbox nail polishes: Smashing Mauve, Smashing Ruby, and Smashing Sepia. I received them all via swaps back in the 90s, and while I don’t think I have Sepia anymore (it was a midtone reddish-brown cream), I still have Mauve and Ruby—despite Smashbox customer service telling me in the late 90s to chuck the polishes because they were expired. 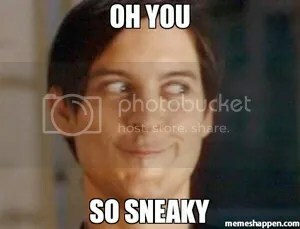 Tee-hee. My Ipsy (referral link) Glam Bag arrived yesterday, and I’m reasonably pleased with it this month! It took a few moments of considering all of the items (let’s be honest, I’m disappointed whenever there’s no nail polish or lipstick in there! ), but I think I will be happy to use every product I got this month! The item I least like is actually the bag, which is a rarity! This month’s cosmetic bag is made out of a cheap sort of foam-fabric that looks like it will pick up dust and snags really easily.